Hi Friends. 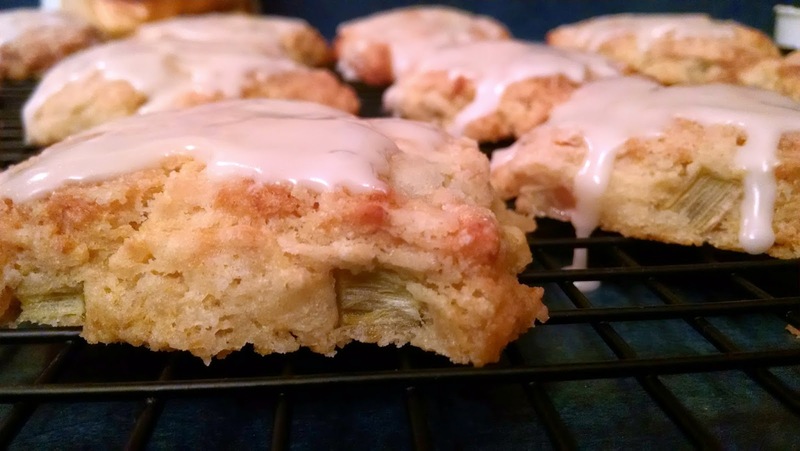 These scones are delicious, and with rhubarb coming on, there's no reason not to make them again and again. Add lemon juice and zest to milk. Set aside. Sift dry ingredients. With pastry blender, work butter into dry ingredients. Add rhubarb, stir. Add milk. Stir. Flour board and dump out mixture. Knead 3 or 4 times. Pat or roll out dough into rectangle disc. Cut into squares. Bake at 400 degrees for 18 to 22 minutes. Remove and cool. Mix 1 1/2 cups pwd sugar with 1 tsp vanilla, and milk until creamy texture. 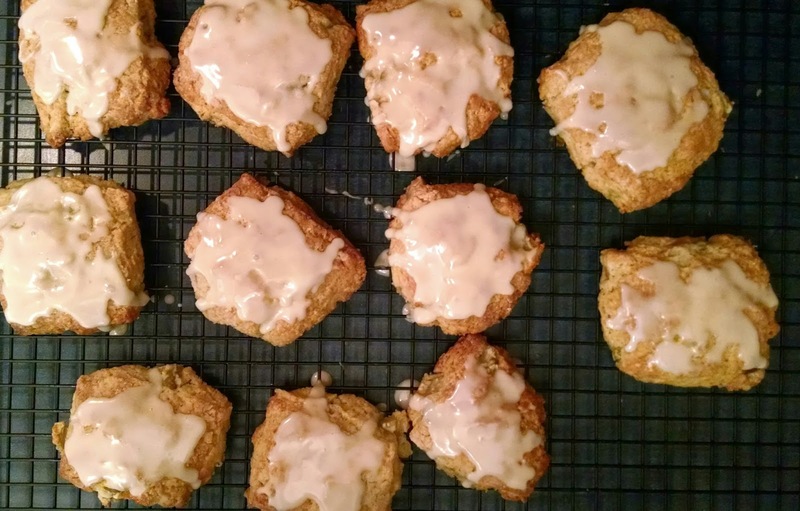 Top each scone. Eat, and Enjoy. Have a wonderful day. Eat more scones. lol.